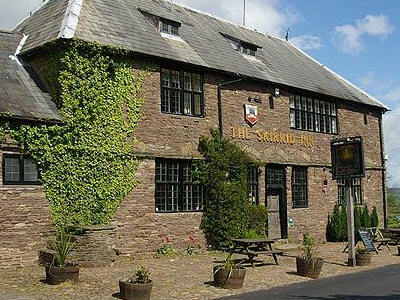 The Skirrid Mountain Inn is, perhaps, the oldest pub in Wales. It is known in chronicles all the way back to the 12th century. In many years the first floor of the inn was used as a courtyard, where convicted criminals were hanged over oak beams in the house. As many as 180 people are said to have recieved the capital punishment there. The house is also said to be haunted with revengful ghosts slipping invisible ghost-nooses over visitors' neck, often so hard that they are leaving marks. Today it only serves as a regular inn. 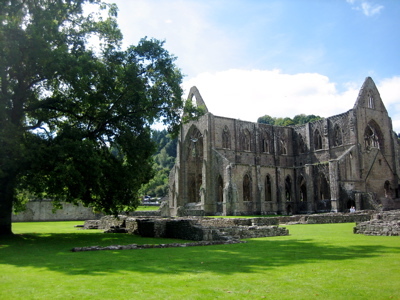 On the banks of the River Wye near the village of Tintern in Mountainshire are the ruins of Tintern Abbey. The first buildings were built in 1131 and more were added between 1136 and 1536. They were used by the White Monks (Cistercian). It has been the inspiration for both poets and painters, and a site for more then one music video in the later years.